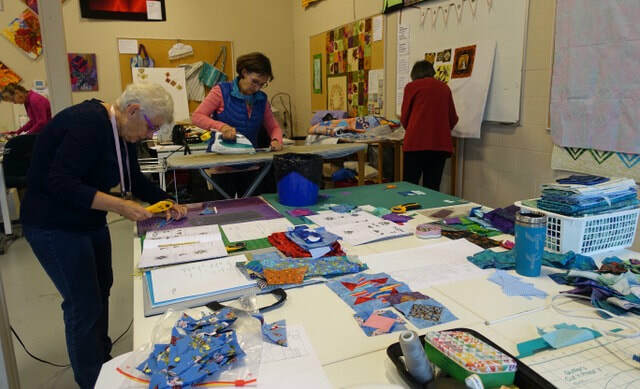 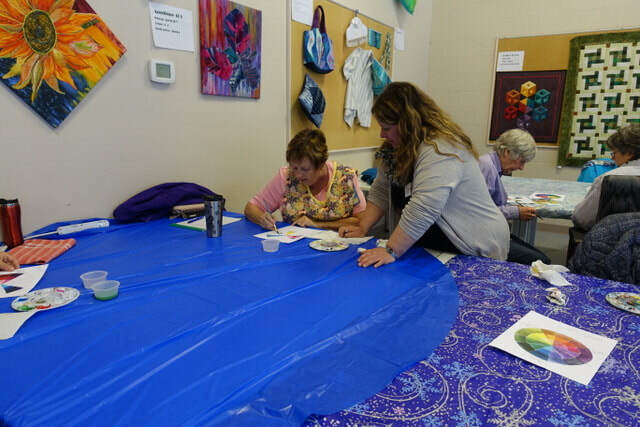 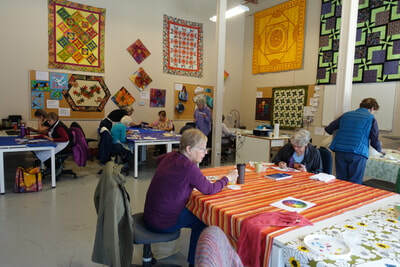 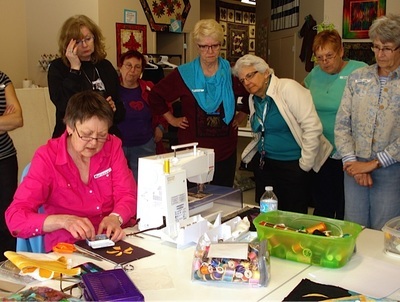 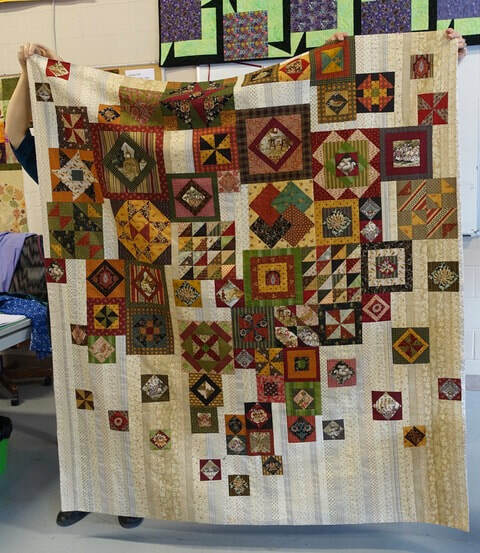 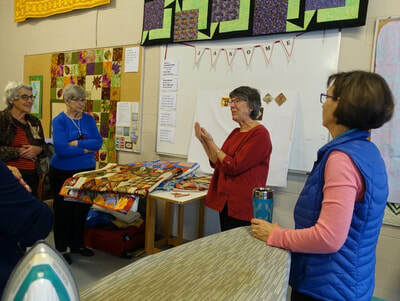 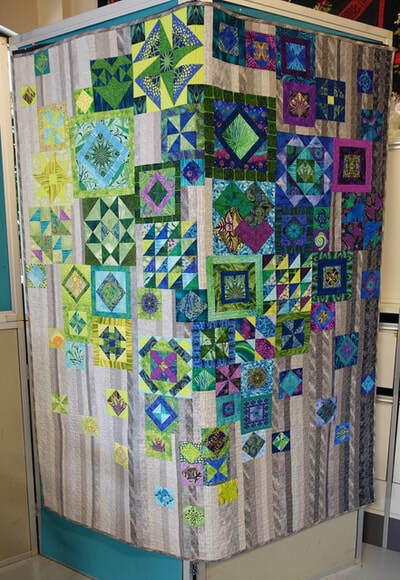 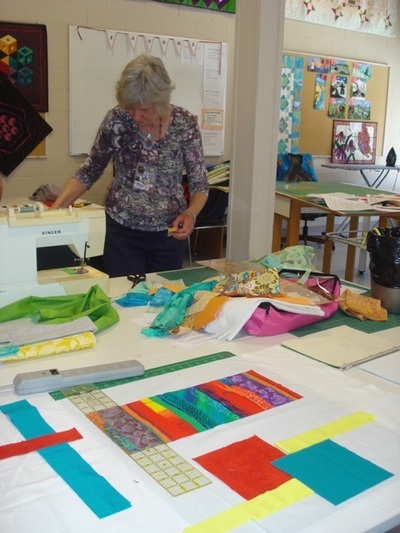 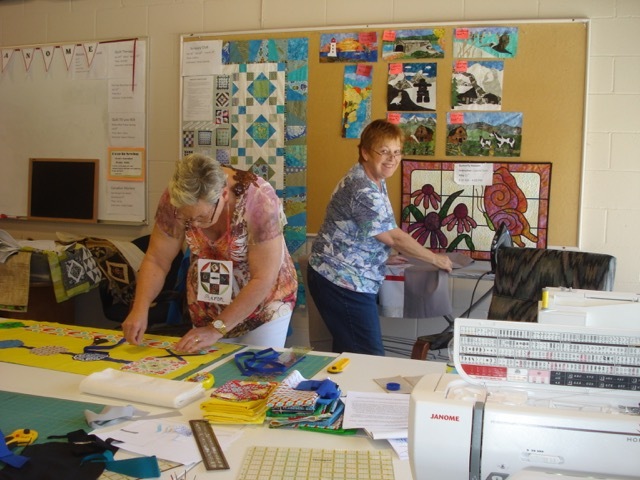 The Professional Development Committee of the Orchard Valley Quilters Guild has a long history of offering high quality workshops to its members. Our past instructors have included Carol Seeley, elinor peace bailey, Esterita Austin, Gloria Loughman, Joen Wolfram, Lura Schwarz Smith, Dianne Jansson, Libby Lehman, Carol Bryer Fallert, Robbi Joy Eklow, Jane Sassaman, Margaret Miller, Kathy Kinsella, Marianne Parsons and more. 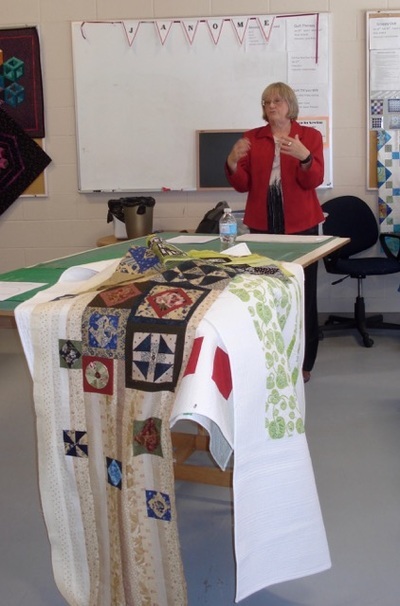 If you have suggestions for workshop topics or presenters, please Contact the Program Committee. ​you may sell or transfer your spot to another person. 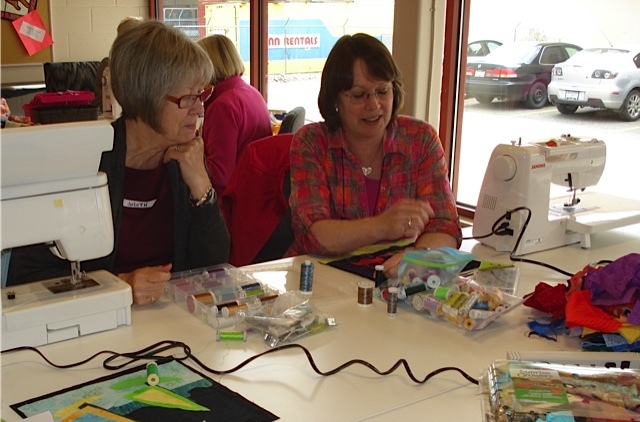 We ask that members use any available waiting list first. We held 2 exciting fibre art workshops for our members in 2013-2014, both with Blind Bay textile artist Kathy Kinsella. 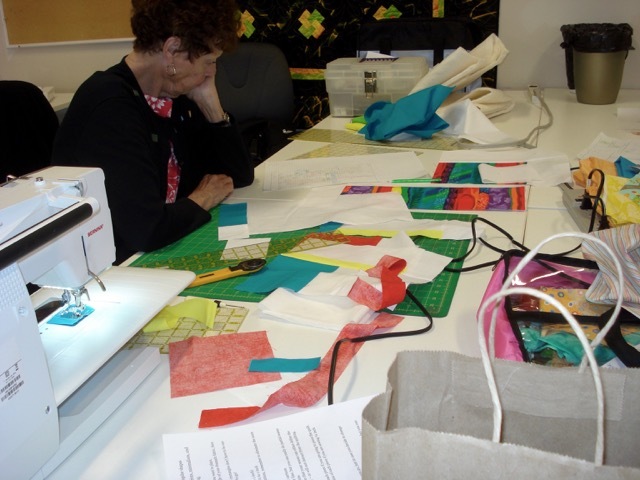 In October 2013, nineteen enthusiastic participants enjoyed a Fibre Art Journal workshop . 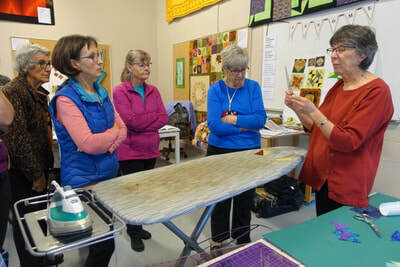 We were introduced to a variety of techniques -- creating fabric beads, cords and sticks, creating and altering fabric, stamping, embroidery, etc. 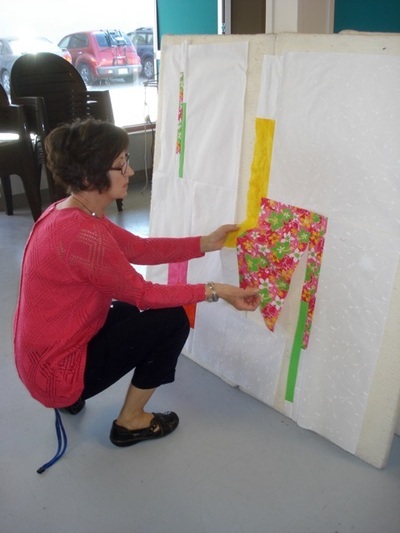 -- to incorporate into our fabric journals. 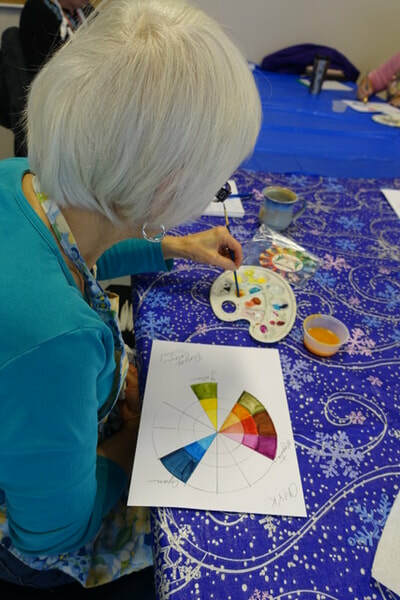 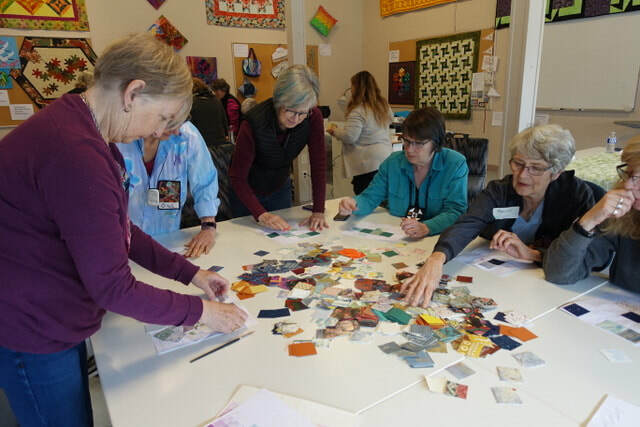 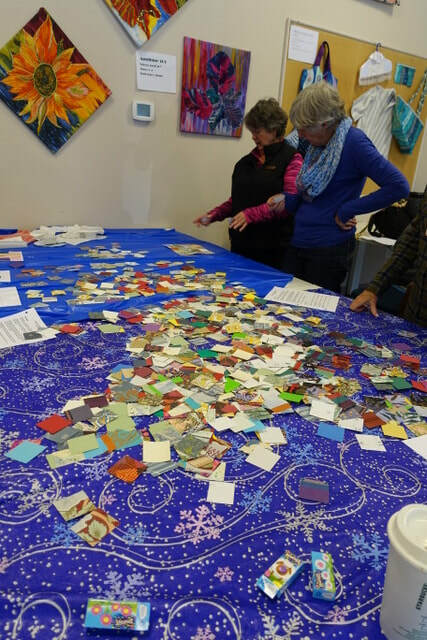 The group agreed to meet regularly to share projects and experimentations, and we are hoping that this will lead to the formation of an art quilting group within the guild. We enjoyed our time in October with Kathy so much that invited her back to teach us how she creates her beautiful needle-felted and silk fusion pieces. In two busy days, we created a piece of silk fusion from a variety of silk fibres in vibrant colours, mounted it on a silk background and began the process of embellishment. 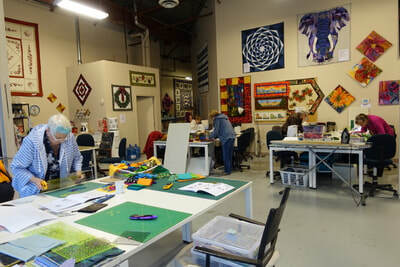 We also worked with felting machines, hand felting needles and wool roving to create colorful and comfortable wool cuffs.